Let me first state, predator calling for Javelina should only be used in a situational manner (I’ll explain later). If used incorrectly or in the wrong situation, predator calls will prove worthless. In fact, it will scare the Javelina herd away 99.9 percent of the time. Despite predator calling limitations, it’s without a doubt the most exciting way to hunt Javelina. Using a predator call exploits the Javelina's propensity to counter attack predators and come to the aid wounded or distressed herd mates. How to use the predator call. The first thing you need to do is purchase a predator call. There are many good choices for under $10, call’s that mimic or are advertised as "cotton tail" or "jack rabbit" distress calls work best for Javelina hunting. Next, forget what you know, or think you know, or how you've used calls in the past. 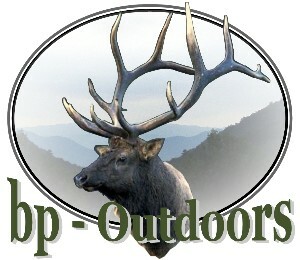 Most hunters have "played around" with a call before. You blow into it, it sounds kind of like kazoo or fairly deep "waaaa.... waaaa..." sound. To affectively call in Javelina you want to imitate the sound of a piglet getting the hell chewed out of it. This is done by blowing violently, using your hands to cup the end of the call to mimic the piglet’s mouth opening and closing. Imagine what a frightened piglet sounds like, adjust your hands and the "blow" pressure accordingly until you sound like an axe murderer at a teenage slumber party. Situational Use: Use a predator call only in three situations. Before calling you should "set-up", pistol or bow at the ready, kneeling position, with the location of all animals identified as best as possible. Your call should be on a lanyard, so you can spit it out of your mouth after calling (hands on weapon), buts its quickly retrievable if needed. A 3-4 second calling sequence will normally do the trick. As soon as the call sequence is complete be ready! Javelina will be coming fast. Generally they make 15 to 20 yard charges, stop, and charge again towards the area of the call. You will often hear the "woof" sound they make with each step they take, as there coming in. Stay calm and pick a clean shot. Don't hurry the shot or settle for a bad shot, or worse yet "flock shoot", and don't worry if they see you. I have called in, shot, and missed the same animal three different times with a pistol before, and ultimately bagged him. It can go like this, shoot, miss, the animal runs away, blow on the call, the animal comes back, shoot, miss and so on. Situation number 3. Moving through thick mesquite tangles and you hear a faint "woof" or smell pig. Although you don't see Javelina, if you hear the telltale faint "woof" sound, then they are in close enough vicinity to respond to a call. The "woof" call is an alert call, similar to a deer’s "snort", even when alerted, Javelina still will respond to the call a great percentage of the time. Cold calling. Calling blindly, that is, with no Javelina or "hot" sign sighted is unproductive 99.9% of the time. When Javelina are responding to a call, they are coming to protect a herd member--ready to charge and bite! If you don’t think Javelina can be dangerous, check out www.javelinahunter.com’s Javelina Attacks page, for several newspaper accounts, and verified reports of Javelina attacking people and pets. They can get very, very close, very, very quickly, keep your situational awareness about you. On several occasions I've had to make noise, waive my hand, stand up, kick, etc. to scare off Javelina. this has occurred even after I've shot and bagged an animal. 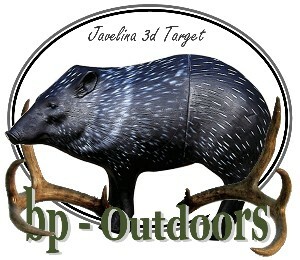 It's very common for Javelina to approach at ranges well under 10 yards when calling--that's close!...No that’s fun! !